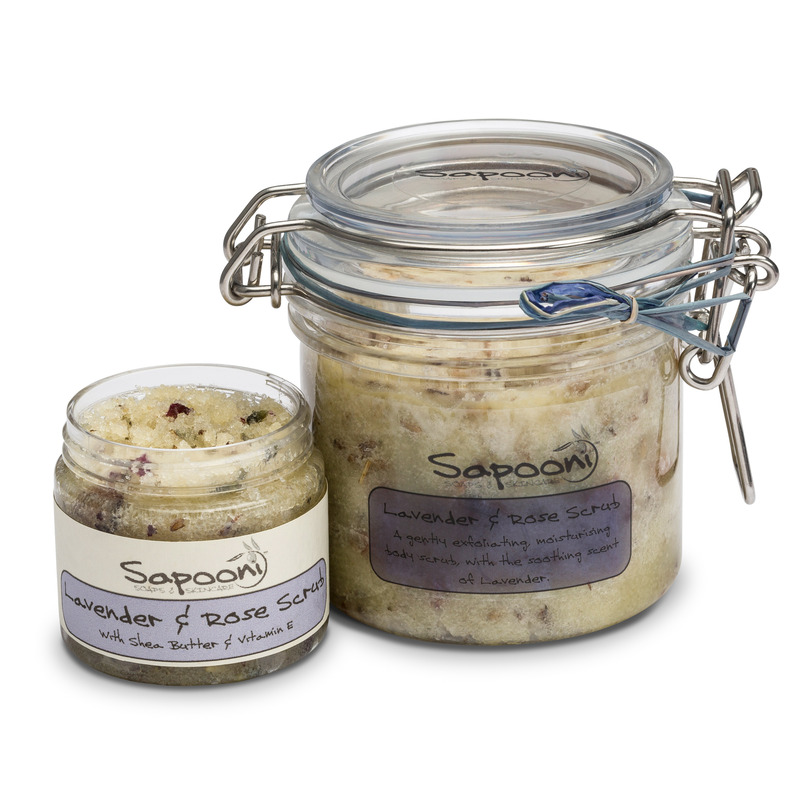 A really moisturising sugar-based body scrub with a calming, gently floral scent. 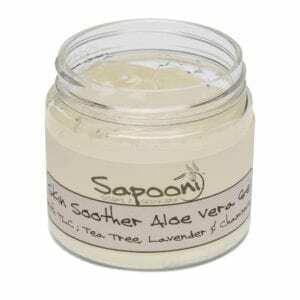 It will leave your skin polished, cleansed, nourished and silky-smooth. Our Lavender and Rose Body Scrub is a super- moisturising sugar-based scrub, and to make it just a little more scrubby, we’ve added a sprinkling of ground rice to gently slough away dead skin cells. 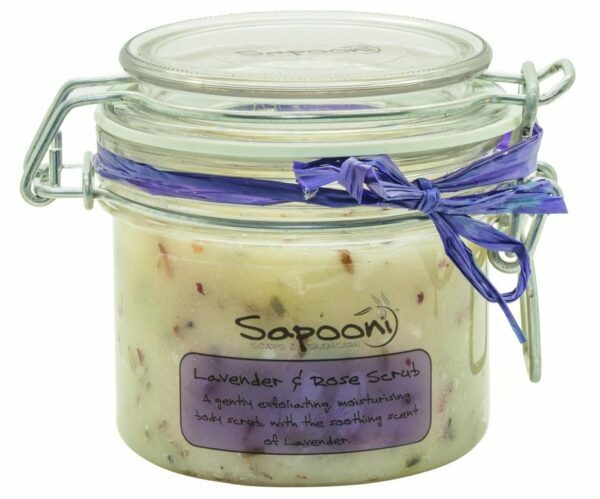 Handfuls of rose & lavender flowers sprinkled into the mix give a delicate flowery scent. For best results, use in the shower on warm, damp skin. Massage into the skin using gentle circular motions, leave on for a couple of minutes for all the oils to soak in, then rinse off with warm water, leaving your skin polished, cleansed, deeply nourished and silky-smooth. The scrub is a firm paste at normal room temperature, but melts gently on contact with warm skin. Available in a 75g “try me” jar, or a gorgeous 240g kilner jar with a flip-top lid. Sugar; Our sugar scrubs are based on the finest quality British sugar, so this has to be a key ingredient! Shea Butter; Contains several fatty acids needed to retain the skin’s moisture and elasticity. Evening Primrose Oil; Wonderful for dry or mature skin, due to it’s high GLA content. Sweet Almond Oil; Easily absorbed, leaves the skin soft & satiny smooth. Rich in vitamins A, B1, B2, B6 and E.
Vitamin E Oil; A powerful antioxidant,used extensively in skincare products. Olive wax; A fraction of Olive oil which is in a solid state at room temperature, this helps to form a barrier to seal moisture into the skin. It’s a Vegan alternative to beeswax. Cornish Honey- Used for centuries for it’s naturally antiseptic & cleansing properties, honey also acts as a humescent, helping to seal valuable moisture into the skin. Ours comes from aperies in the lovely Fowey Valley. Lavender essential oil; Used widely in aromatherapy for its calming, relaxing and skin-soothing properties. Patchouli essential oil; A fabulous oil for skincare, it has been used to improve scars and stretch marks, for tissue regeneration, and to reduce wrinkles. Palmerosa essential oil; Has a balancing action on the skin’s sebum production. Sucrose (sugar), Olea europaea (olive) oil, Buyrospermum parkii (shea butter) fruit oil, Prunus dulcis (sweet almond) oil, Vitis vinifera (grapeseed) oil, Oenothera biennis (evening primrose) oil, Honey, Oryza sativa meal (ground rice), Preservative (Phenoxyethanol, Caprylyl glycol), Lavandula angustifolia (lavender) flower oil, Cymbopogon martini (palmerosa) oil, Lavandula officianalis (lavender) flowers, Pogostemon cablin (patchouli) oil, Rosa gallica/damasceba/centifolia flowers, Tocopherol (vitamin E). Naturally occurring in essential oils; Geraniol, Linalool, D-limonene, Citral, Farnesol, Limonene.